In the first of a delectable new Southern-set baking cozy series, Sophia Cummings, pastry chef extraordinaire, must craft the perfect cake for an old friend's wedding while sifting through the suspects in a murder. 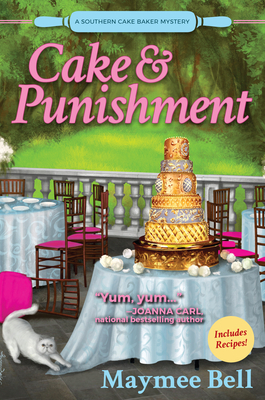 Perfect for fans of Joanne Fluke and JoAnna Carl, Cake and Punishment--with authentic Southern recipes --will satisfy your sweet tooth. Maymee Bell lives in Kentucky with her family and her two schnauzers. She likes strong coffee, slow-country days, and fresh-baked cookies―but she likes telling stories best of all. This is her first Southern Baker mystery.